How did William Duke of Normandy successfully rule England? After the Norman invasion the lands owned by the Saxons was taken over by the Normans. Many of the Saxon Earls fled and went into exile. While some areas submitted to William's rule many did not and William had to deal with Saxon resistance. The map below show some of the resistance that the new king had to deal with. The most serious was an invasion by the Scottish king Malcolm III who invaded Northumbria in 1070. When William the Conqueror became King of England in 1066 he introduced a new kind of feudal system into Britain. William confiscated the land in England from the Saxon lords and allocated it to members of his own family and the Norman lords who had helped him conquer the country. These people were known as tenants-in-chief. Unlike the older Anglo-Saxon form of feudalism these people did not own the land because the ownership remained with William the Conqueror himself. The land allocated to a tenants-in-chief was known as a manor and tended to be dispursed across the country rather than being one big area. The tenant-in-chief had to provide for himself and his family and to support a number of knights. To do this the lord sub-let his land to other lords lower on the social ladder. At the bottom the common people worked on the land growing crops and raising animals. The tenants-in-chief did not get the land for free, they rented it from the king in exchange for services. If the services were not provided the tenant-in-chief would be removed, by force if necessary. This was an important change to the older Anglo-Saxon form of feudalism as it meant William could keep control of his land as bad tenants could be removed. William the Conqueror and the Norman barons began to build hundreds of castles in areas of England that they took control of. In many cases the Saxons were used as the work force to build the castles. These early castles were mainly built from wood and are known as Motte and Bailey castles. At the heart of the castle was the motte which was a large mound of earth surrounded by a ditch on top of which was a wooden tower. At the base of the motte was the bailey which was an area surrounded by a bank of earth and a ditch. Around the top of the bank was a wooden wall or palisade. The bailey had enough space for living quarters for the Baron and his attendants, a chapel, tradesmen's workshops such as blacksmiths and animals as well. 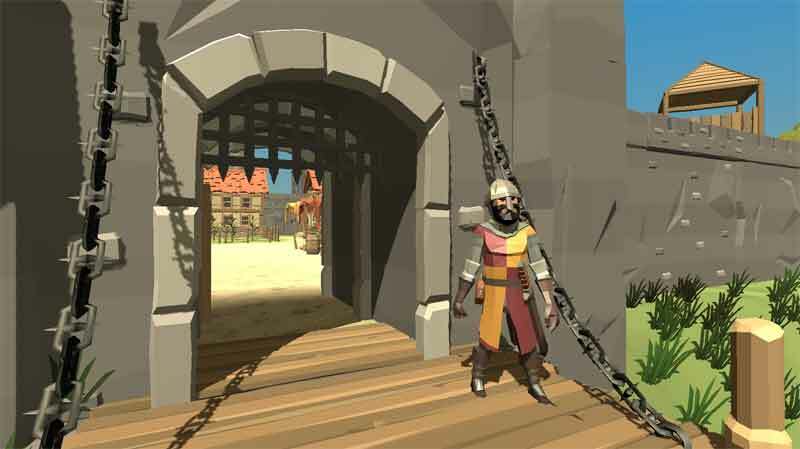 A strong gatehouse was usually the only entrance to the castle. 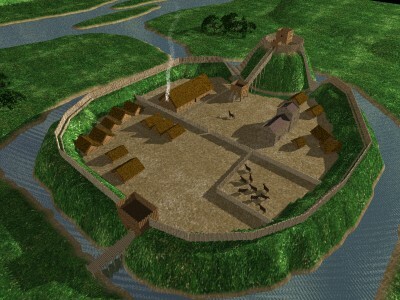 This picture shows a reconstruction of a motte and bailey castle. Some castles had water-filled ditches to provide extra defences. In 1078 William the Conqueror ordered the construction of a huge keep at the castle in London. Under the direction of Gundulf, a castle builder from Normandy, the tower known as the White Tower or Tower of London was built. The size of the castle must have been greater than any building the citizens of London would have seen before and as William may have hoped probably struck them with awe. Although generally square in construction the White Tower has a circular turret to the north-east that has a circular staircase inside it and to the south-east there is a semicircular apse that contains a chapel. The southern side of the castle would of had a small tower at the entrance but this has been removed and not shown in the reconstruction at present. 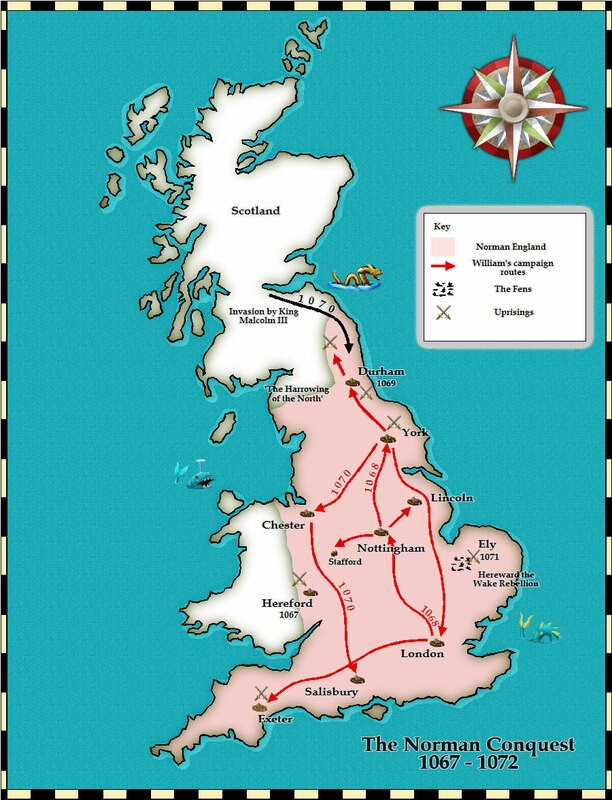 In December of 1085 William the Conqueror ordered the survey of his lands in Britain. The survey was given the name Domesday Book possibly because of its similarity to the Last Judgement of Christ, or Doomsday. A detailed record of ownership of land, types of land, numbers of people and numbers of animals was undertaken. Details were not just required for that moment in time, but at the time of Edward the Confessor (1065) and at the time when the land was granted by William himself. Each shire was required to obtain and collate the information and any disputes were heard in a court with a jury of equal numbers of Englishmen and Normans. The survey was written up into two volumes and was held at the Winchester Treasury. Whether this was the first survey of its type is unknown, but it is the first recorded survey we have copies of. The reasons why the survey was taken is not known either. After the Conquest the allocation of land had probably been chaotic and the survey could have been a method of sorting out the confusion and used to prevent further disputes. Knowing how much workable land and working people there are would have also been useful for taxation purposes. Construction of Windsor castle started by William the Conqueror. Roger Fitz Osbern joined an unsuccessful uprising against the king and lost. The castle then passed to the crown. Gundulf began work on the White Tower, the Tower of London. To defend the estuaries of Essex against attacks from the Danes William the Conqueror ordered the construction of a new castle at Colchester. William the Conqueror visited South Wales and St. David's. He met Rhys ap Tewdwr, the ruler of the area and allowed him to remain in control of the region for a yearly sum of money. At the Christmas Council William the Conqueror ordered the creation of survey of property with their values and populations county by county covering most of England. Commissioners were sent all over England, apart from the far north, to make a record of the population, value, state and ownership of the land. The book known as the Domesday Book consisted of two volumes and was completed by 1088. William the Conqueror called a meeting at Old Sarum where he invited his most important vassals and tenants-in-chief in England to swear allegiance to him. The oath is now known as the Oath of Salisbury.